Nadene has been running the Mum for Mum program for the past 5 years, increasing the program’s reach from 14 trained volunteers in 2008 to 50 active volunteers in the eastern suburbs, and was instrumental in setting up the north shore program last year. Having owned and run her own 29 place preschool for 25 years after immigrating to Australia, she developed her own training courses, running workshops in the corporate, welfare and educational areas. She worked with indigenous students at UNSW’s Shalom College and served as a volunteer counsellor and training facilitator with Lifeline for many years. 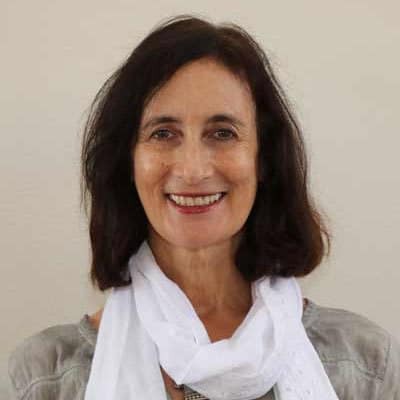 She has a Bachelor’s degree in Social Science, a postgraduate counselling qualification from the Australian College of Applied Psychology, a Cert 1V in training and is a qualified yoga teacher and “circle of security” facilitator and serves on the newly formed steering committee for suicide prevention within the Jewish community.